A California woman remains jailed on prostitution charges following her arrest at local hotel. Sarah Sunshine, 36, of Chatsworth, California, is being held on a $20,000 bond. 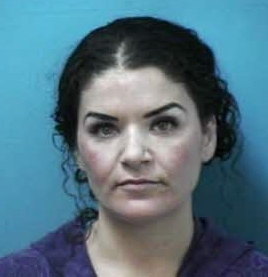 Facing charges of Promoting Prostitution, Prostitution, Drug Possession, and Impersonating a Licensed Professional, Sunshine will face a judge 03/17/2015 at 9am. Jason Herrington, 36 of Nashville, was cited for Patronizing Prostitution, Drug Possession, Possession of Drug Paraphernalia, and not wearing a seatbelt. He is due in court 03/19/2015 at 1pm. The arrests were part of a surveillance operation set up at a Franklin hotel following a provocative online ad on backpage.com. Several cell phones, a laptop computer, two ledgers, and $2,300 in cash were seized from the room. Oh my goodness! A sad life for a young woman! Where is the picture of the John???? Ms. Schoch: He was cited, in accordance with the law pertaining to misdemeanors, not arrested – so he was not taken to booking for photographs and fingerprints. Great work. I especially like the part where you cited the John for “not wearing a seatbelt”. No, I really mean it.